The Pittsburgh Penguins concluded a five game home stand against the talented Dallas Stars on Thursday night. The meeting would be the teams' second of the year, with the Stars claiming a 3-0 victory in the season opener. Antti Niemi would once again mind the net for Dallas (understandable since he had just shut out the Pens two weeks ago), while Marc-Andre Fleury continued to be the workhouse for Pittsburgh. 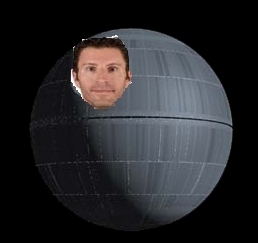 Thursday marked the return of Pascal "Thanks Daaaaan" Dupuis from a bevy of injuries (most notably blood clots), and very very slowly, the Pens are inching toward being a fully operational Death Star (Rob Scuderi is dressing up as an exhaust port for Halloween). Yes, that's a Star Wars joke. The Penguins clearly wanted to open the game with their feet moving (see: "energy"), as the Stars' Mattias Janmark had tallied just 1:39 into the season opener, and Pittsburgh couldn't raise its compete level that night until after Niemi found his comfort zone in net. For the most part, the Pens were successful in coming out and driving play, as they dominated both possession and scoring chances, but once again Niemi was spectacular in net, and almost all of Pittsburgh's shots were either smothered by the Dallas keeper or cleared away before any second chance opportunities could present themselves. Pittsburgh gave the vaunted Stars' offense an early chance to take the lead following a Michel Therrien-esque SOFFFFFF penalty call on Daniel Perron. Dallas's power-play unit, featuring the reigning Art Ross Trophy winner Jamie Benn, wasn't able to convert on its first try due in part to the penalty killing efforts of Dupuis. Unfortunately, the man with the best sounding name in hockey, Johnny Oduya, lollipopped a wrister from just inside the blue line that Fleury never saw and the Stars were ahead, 1-0. Not long after, Patric Hornqvist was sent off for delay of game (stupid puck over the glass rule), and John Klingberg fired a postage stamp (upper corner) past #29 and Dallas had itself a two goal advantage. Pittsburgh's good early effort thus went for naught, and even though the Penguins outshot their opponents (a common occurrence this year), the team in black & Vegas gold entered the locker room trailing. Mountain Cold™ thus far this season. ...unfortunately, the goal belonged to Jason Spezza of the Dallas Stars. Spezza picked off a blind, spinning pass (No-No #1) in his own end (No-No #2) in the middle of the ice (No-No #3), and the former Ottawa Senator went high on Fleury, and the Stars' lead grew to 3-0. 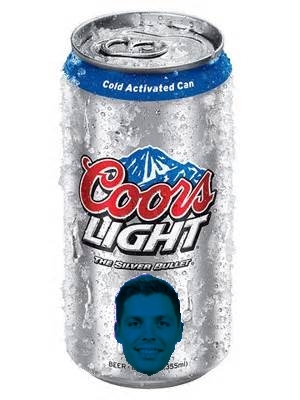 Perron's errant and ill-conceived pass will grab the headlines, but the inability of the defensemen to clear the zone was the catalyst for the giveaway, as Perron was not the intended recipient of the "pass" (term generously applied) he then turned into the...well, turnover. Six minutes later, Nick Bonino scored his first goal as a Penguin when he drifted from behind Niemi and waited for the Dallas goalie to make the first move (which turned out to be going down to cover the bottom of the net). Bonino would go high glove-side and finally end Niemi's shutout streak against Pittsburgh. Eager to jump on the momentum, the Pens tried to push the play, but the Stars created an overload situation in the slot, and Janmark scored his third goal of the season (second against the Penguins) when a Dallas pass was allowed to move through the slot, catching Fleury (hell, everyone wearing black) out of position, and the Stars' lead climbed to three again, 4-1. Evgeni Malkin would draw a penalty 50 seconds later (it was actually Radek Faksa's second infraction of the night), but the Pittsburgh power-play, coming off of a multi-goal performance the game before, couldn't generate any traffic in front of Niemi, and their shots were once again of the one-and-done variety. Through two periods, the Pens had out-hit Dallas and had managed to generate a number of dangerous scoring chances (Kunitz was robbed, and the Pens hit at least one post), but would enter the third period down by three goals. With a 4-1 lead, Dallas predictably began to collapse and trap with impunity in the neutral zone as the third period opened. Fans in attendance booed the Pens' struggles to enter the offensive zone, as the Stars' managed to disrupt every breakout with a single forechecker. The third period served as a microcosm of Pittsburgh's scoring woes, as the clear intentions of the team— defensive shot suppression with offense generated via transition attacks— are being neutralized by simple trapping schemes. In short, the Penguins want to move up the ice as a unit (think very loosely of the "Flying V" from "The Mighty Ducks"), but to do so requires open ice, and opposing teams are actively disrupting the straight-line speed the Pens are desperately trying to generate. As a result, the fans in Consol (and at home) see Pittsburgh defensemen passing the puck back and forth in the Pens' own end and can't understand what the h-e-double-hockey-stick is going on. The answer is simple: the defensemen are trying to wait for the right angle and moment to send the puck up ice while (and this is key) the other players have positive momentum toward the offensive zone. Again, think of the "Flying V": the Penguins WANT to be approximately moving together, but much like in "Mighty Ducks 2," the defense simply gets in the way and breaks up the play. Back to the game...toward the end of the regulation (3 minutes left to go), there was a spate of penalties that saw the Penguins go on a 5-3 power-play following a Patrick Sharp rough and a Jason Demers elbow to the face of Nick Bonino (Demers was whistled for a major penalty). Pittsburgh pulled Fleury, but the first PP unit couldn't muster much in the way of scoring chances (Crosby broke his 3,724th stick of the season trying to bury a one-timer). With just over a minute to go, Matt Cullen rang one off of the right post, but couldn't get the proper English to cut the deficit to two. The horn would sound with Dallas winning 4-1, and the natives were both restless and frustrated with the Penguin efforts.